Another woman has sued King County, claiming Sheriff John Urquhart discriminates against female deputies. The sheriff denies it. For the second time in a week, King County has been sued by a woman claiming that Sheriff John Urquhart runs a sexist department that discriminates against female deputies. In a complaint filed Friday, Mary Syson, 53, a 24-year department veteran and master patrol officer, claims that Urquhart and several sergeants under his command repeatedly harassed and targeted her in recent years because she’s an older woman who spoke out against their unfair treatment. “Syson’s personal and professional reputation has been damaged” and she has suffered “economic losses and significant emotional and psychological damages as a result of the actions of the Sheriff and his command staff,” the lawsuit claims. Seattle attorney Julie Kays, who is representing Syson, contends that Urquhart’s retaliation against her client intensified after Syson publicly spoke out against his alleged sexism during his first campaign for sheriff in 2012. “The sergeants were emboldened to treat Mary in a discriminatory fashion because of the sexist culture that Urquhart promotes: women are less than men, and men who discriminate are not punished,” Kays wrote in an email to The Seattle Times this week. Urquhart denied the claims in a news release issued Tuesday after The Seattle Times asked about the lawsuit. The release noted that Urquhart “directed that an outside attorney specializing in discrimination allegations” investigate Syson’s discrimination claims in 2015. Urquhart, 69, of Mercer Island, has formally filed for re-election to the sheriff’s job. One of his commanders, Maj. Mitzi Johanknecht, 58, of Seattle, will challenge him for the four-year position that pays $186,000 annually. According to her lawsuit, Syson — one of the few female master police officers tapped to train recruits for the 1,100-employee sheriff’s office — is a well-respected employee who earned high marks on her performance evaluations. Then, in 2014, Urquhart changed commanders at the Southwest Precinct in Burien where Syson was assigned, the suit states. Her sergeant began scrutinizing Syson’s responses to calls and observing her training of recruits, and soon gave Syson her first-ever “performance improvement plan,” the suit contends. That summer, three new sergeants assigned to Syson’s precinct — Kevin Joyce, Eric Muller and J.R. Hall — began dogging her work, including criticizing her for “spending too much time” on investigations and nitpicking her written police reports, the suit contends. Among other claims, the sergeants variously publicly berated and belittled Syson, unfairly rated her poorly in performance evaluations, singled her out with a disciplinary memo for showing up late to a hastily called training session and filed frivolous internal complaints against her, the suit states. In short order, Syson faced four internal complaints and multiple citations for department violations, the suit states. Syson’s union grieved each of them, and just one complaint resulted in a “sustained” finding, the suit states. In response to that complaint — for allegedly filing a written report late — Urquhart issued a letter of “corrective counseling” and indefinitely barred Syson from training deputies. “He did so in an act of pure retaliation for her complaints of discrimination in the workplace,” the suit contends. Syson’s lawsuit was filed four days after retired Sgt. Andrea Alexander filed suit against King County, similarly alleging that Urquhart and his commanders harassed and retaliated against her because she is a gay black woman. Urquhart also denies Alexander’s claims. 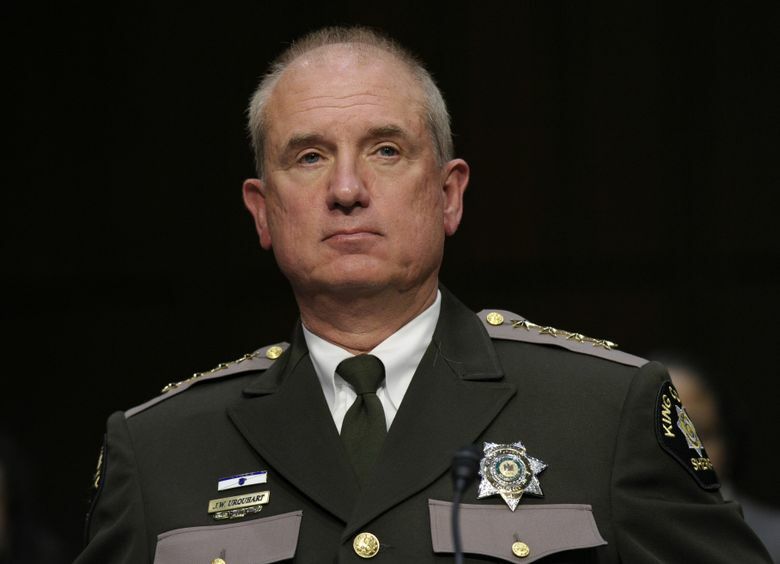 Since Urquhart’s election to the sheriff’s job in 2012, King County has paid $2.35 million to settle two other bias lawsuits brought primarily by female deputies. In the latest suit to be settled, several ranking deputies testified in depositions that Urquhart used his position as sheriff to meddle in internal investigations, and retaliate against employees who spoke out against him. Lewis Kamb: 206-464-2932 or lkamb@seattletimes.com. On Twitter @lewiskamb. Information from Seattle Times archives is included in this story.